Yisrael Medad explains from a historical, legal, and security perspective why the Golan should always be in Israeli hands. 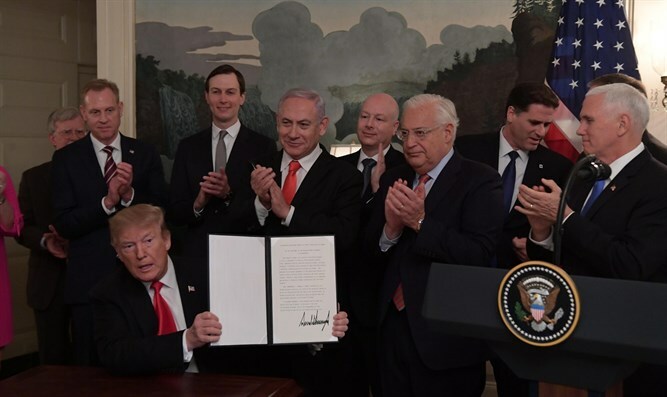 Josh Hasten interviews Yisrael “Winkie” Medad – Research Fellow at the Menachem Begin Heritage Center, on President’s Trump’s Decision to recognize Israeli sovereignty over the Golan Heights. Medad explains from a historical, legal, and security perspective why the Golan should always be in Israeli hands. Also on the show, Josh shares his reactions to this morning’s terrorist rocket attack from Gaza in which seven Israelis were wounded in a community north of Tel Aviv.